Granada Goes Pop was the brain child of Granada television producer Muriel Young. The short lived show aired on British television a different popular musical artist performing their hits in front of a live studio audience. The musical series was called Set of Six, but was unfortunately cancelled after one season. Fortunately, one performance still exists and circulates in reasonable color video quality. This particular show contains a rare and fine representation of the group 'Badfinger' during arguably their greatest live era. Underrepresented by live footage, this set of music is a welcome glimpse of the band playing some of their finest compositions. Now Playing in the 'rock room' is this aforementioned 'set of six', featuring Badfinger running though a hot to the touch serving of a few of their popular hits as well as a couple of deeper depth album cuts. The set alternates between Joey Molland and Pete Ham penned songs and closes with a roaching snippet of 'Johnny B. Goode' that only circulates as audio. The existing video is reasonably clear color footage, only slightly blurred and trailed but nonetheless a highly acceptable visual document of the troubled and highly talented group. This performance follows and supports the February 1972 LP release Straight Up, considered the bands finest recorded moment by many. Fortunately caught on celluloid this era represents the peak of the groups erratic career. The show begins with the credits rolling and the opening bars of the bands highest charting UK single, 'Day After Day'. The song had moved toward the Top 10 shortly before the recording of this particular concert. 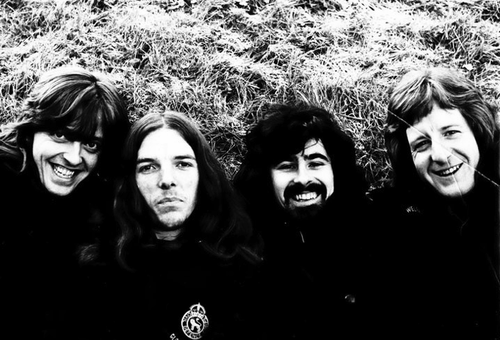 This classic FM hit produced by George Harrison is a rock staple and should have been more than enough to cement the legacy of 'Badfinger' in the annals of rock history, but alas it was not to be. Pete Ham plays a searing slide guitar on the track, replicating the dual slide guitars played by himself and George Harrison on the studio version. Interestingly enough, Ham is playing Harrison's Gibson SG guitar, which was given to him as a gift by the former Beatle. For those gear geeks interested the guitar can be seen in the Beatles promotional videos for 'Paperback Writer' and 'Rain' as well as this video. The live reading of 'Day After Day' represented here is big, bombastic and features tight group backing vocals by Evans and Molland. Acoustic instruments are donned for the following Joey Molland track, 'Sweet Tuesday Morning' a standout song featured on Straight Up. Delicately thumped conga percussion by Mike Gibbons tickles the three acoustic guitars played by Molland, Ham and Evans that are sewn together into a shimmering web of wooden reverberated sound. 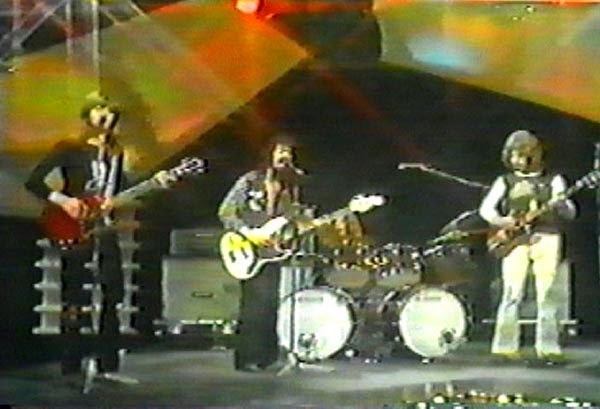 The three guitarists stand stoically, a modicum of concentration. Molland sings eyes closed fully invested in the performance. A highlighted document of a underrated LP track and united band performance. The vibe stays pensive when Pete Ham sits at the piano for an exceptional reading of 'Take It All', the opening track off of Straight Up. In the 'rock room's' humble opinion this song is one of Ham's finest officially released compositions. The song is the perfect conglomerate of melodic prowess, instrumental attitude and emotive lyrical content. Ham and Evans intimate vocal blend is stirring and poignant, their magical collaboration on the chorus chill inducing. Also of note is Molland's clean tone recitation of the melody played within a tasteful Gibson SG solo. This live reading is sparse in comparison to the official studio reading. The clarity of just the four instruments allows for the melody to let out a breezy exhale and for all of the colors of the song to slowly bleed through, revealing a musical changing of seasons. Following the reflectiveness of the opening three songs the band now bears down on the the throttle dispersing a plethora of sharp rock and roll riffs. A stage favorite, a song about the road, 'Suitcase' starts things off with a distorted and scratchy Molland rhythm track that is soon doused with the melting wax of Ham's syrupy slide guitar Wah-wah's runs. Ham's guitar abilities are on full display when he is not needed for vocal duties and is allowed to wail. Here Ham is a statue of virtuosity, stone still, pumping the pedal, fully enveloped in his measured guitar neck explorations. The band locks arms, igniting a wood cutting groove that is built around sturdy palm mutes and Evan's weighted bass thumps. The song stretches its legs allowing the central portion of the jam to open quickly like an anticipated package on Christmas Eve. Molland and Ham each take solos before joining together in a jam more about building the groove than showing off guitar licks. Evans restates a verse of the lyrics in his best gritty rock and roll throat before signaling a descending dual guitar riff that kicks down the door revealing the songs conclusion. Wow. Before the assembled crowd can take a respite the band blasts into a high tempo version of the 'B' side single, 'Better Days'. 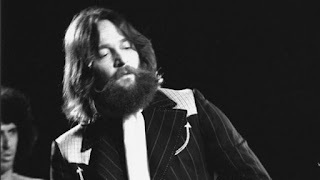 Another Molland penned track, 'Better Days' is perhaps the highpoint of this particular performance finding the band deftly weaving their way through the song at an extreme tempo. In comparison to the studio version this is a raucous high speed romp with Gibbons rattling chains behind the kit. Ham solo's endlessly under the verses fully amped, in a fashion that would make any of the 1970's guitar gods blush. The guitar work here is worthy of inspection and amazement. Visually you can tell that the band is getting off as well, wearing looks of enthusiastic satisfaction. The preceding jam that took place in 'Suitcase' lubed up the gears for this nimble and torrid rendition. Off microphone asides and sizzling licks abound before the song ends as quickly as it started. Again, Mike Evans enthusiastic backing harmonies are an absolute pleasure to behold. 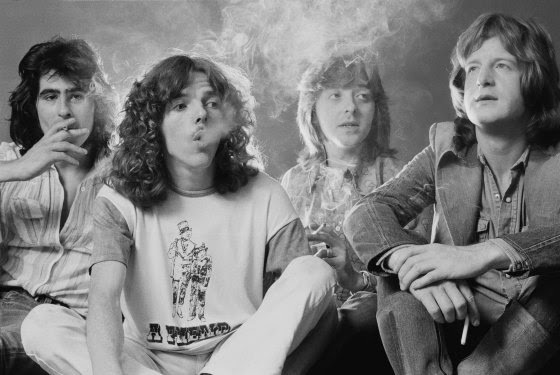 The televised concert performance now comes to a conclusion with Badfinger's first and most recognized hit up to this point, the 'A' side to 'Better Days, 'No Matter What'. The band, still feeling it, tears through another high tempo and note perfect rendition of this power pop classic. A humorous moment is when Molland gets caught by the camera and lends a funny look of surprise and raised eyebrows to the approaching cameraman. The reading of the song is solid and filling, closings the concert with a crisply executed version of an enduring rock classic. 45 seconds of audio for the post performance 'Johnny B Goode' exists, but only as a teaser, as the song was only played on top of the closing credits. No video exists for this, but as previously mentioned there is a quick audio snippet available to help to complete the performance. It's a shame as it sounds like a smoker! 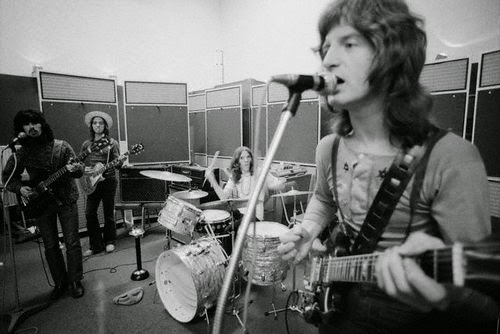 This classic footage of Badfinger is an excellent primer for those just getting introduced to the band's catalog, as well a being a welcome addition to the collections of well versed fans. Even in the sterile environment of a television sound stage, the talent and musical abilities of the band illuminate the performance with perfect power pop. The tragic stories contained within the group can be temporarily forgotten and their legacy remembered through this multifaceted performance.